I always make it a point to visit a market wherever I am traveling. The market is the best place to observe and appreciate the local life. It tells you so much about the place- the local produce, the language, the food and the atmosphere. 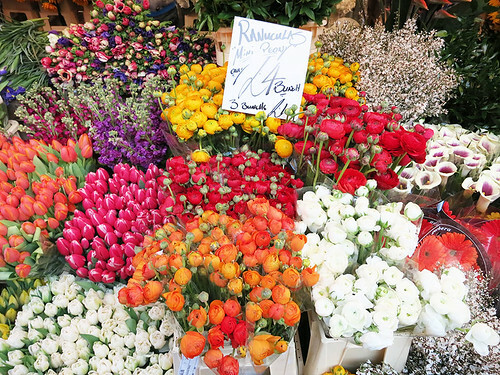 If you really want to get to know a city or a town, go visit the market. 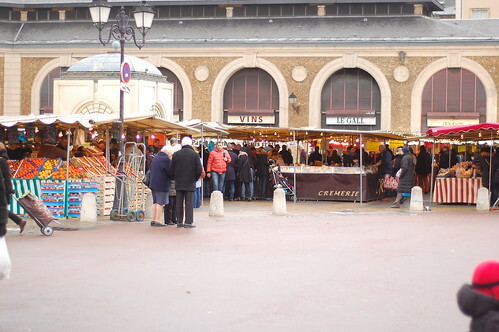 My current favorite is the Sunday Open Air Market in Versailles (France). I walk down a crowded alley and smell the roasted chicken, wild mushrooms, hundreds of different cheese and I know I'm in one of the best places in the world for food. Street sellers call out to me selling their wares: orange blossom flavored honey, goat cheese with different spices, green olives from Southern France- I want to taste all of it! 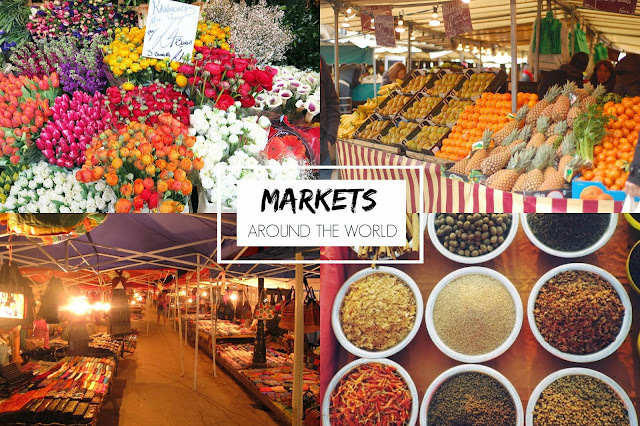 The outdoor market has a lot of fresh ingredients like fruits, vegetables, poultry, cheese and eggs. I love that most of the people who sell them also grow them in their own backyard or make the food themselves. There are also indoor markets that sell all sorts of meat, fish, wine, pastries and even chocolate. And I love the selection of flowers here too. 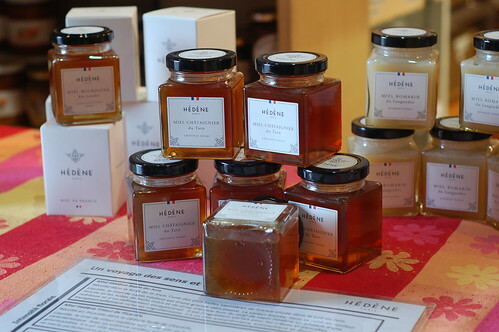 If you come visit, sample some food that they offer for tasting and bring home some homemade confiture (jam), wild honey, cheese, and bread. Although seeing Victoria Falls is one of the main reasons to visit Livingstone, Zambia, there’s also some fantastic shopping to be had in the city. I found a handicraft market a few blocks from the Livingstone Museum that consisted of one hundred little shops in a row; although most of them sold similar items, it was a great place to bargain and find pretty much anything you’d want to take home as a souvenir from Zambia: beaded jewellery, paintings, wood carvings, masks, traditional cloth, and more. I walked away with many shopping bags full of handicrafts that are now some of my favourite possessions, including a gorgeous painting for approximately $10 USD. 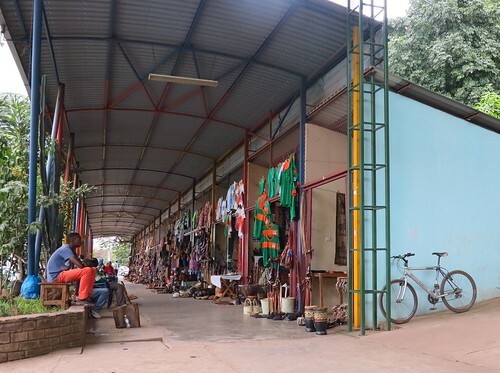 While there are tons of souvenir shops around Livingstone, including a large market near the falls, the smaller handicraft market was the place I found the best deals and the coolest stuff. If you are ever in Ecuador, you must visit Otavalo’s famous market. 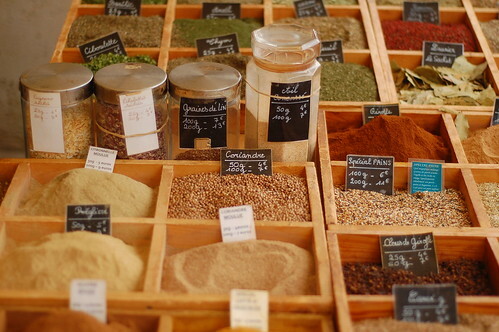 A small town near Quito, this market has just about everything you could hope to find in South America: spices, leather goods, alpaca scarves and sweaters, toys, dreamcatchers, paintings, instruments, and, best of all, affordable silver jewellery. 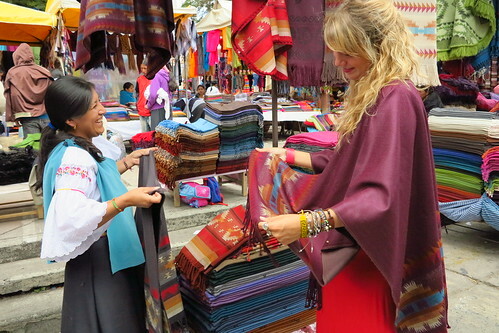 The region is also known for its gorgeous textiles, so it’s the place to buy blankets, tablecloths, and tapestries. At the time, backpacking through South America, I had limited funds and had to choose wisely; I now think back to all of the amazing souvenirs and wish I had stocked up on even more. My favourites were three silver rings, all around $15 USD. 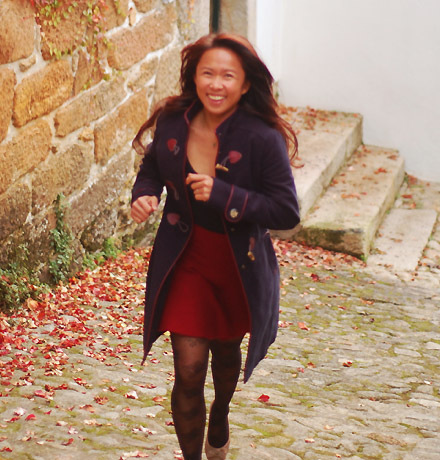 The alpaca scarf I purchased for only $5 ended up being a lifesaver during all those chilly nights in Bolivia and Chile! The market is most popular on Saturdays, when almost a third of the town fills with stalls; the Plaza de los Ponchos is open every day, however, so if you’d prefer to shop without the crowds, go on another day instead. There’s still lots to be found on a weekday! When backpacking around Southeast Asia, most people flock to the infamous night market in Chiang Mai, Thailand. 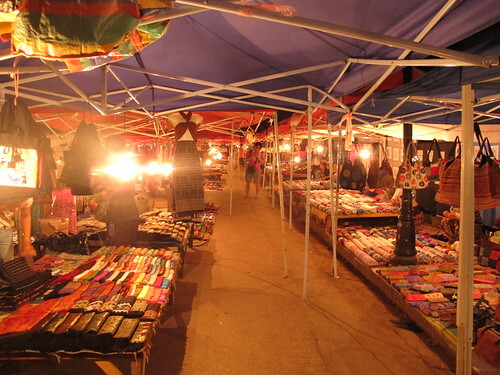 While I found some amazing souvenirs there, my favourite market in the region was probably Luang Prabang’s night market (Laos), which runs through one of the main streets in town every night. I picked up everything from colourful purses to an antique opium pipe to silver jewellery, all at very affordable prices. It’s also the place to buy traditional Hmong handicrafts, silk scarves, and local paintings that often incorporate Buddhist imagery. I found myself wandering through the stalls every night of my week’s stay in Luang Prabang, just because there was never a shortage of things to look at (and things to tempt me to part ways with my Lao kip). Get here early – the stalls “open” around 5pm and close at approximately 9pm, so it’s best to try to beat the crowds who come here after dinner. 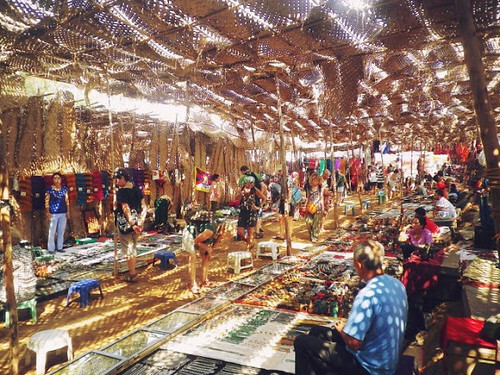 Back in the 60s, the Wednesday Hippie Market in Anjuna, Goa (India) was a famous spot for spiritual-seeking hippies who sold their belongings before leaving Goa. Nowadays, it's a massive market with hundreds of vendors selling jewelry, clothes, bags, textiles, music, spices, sarongs, scarves and handicrafts from tibet and kashmir. What I love about this market is that it's full of energy and pops of color everywhere from the intricately wood stamped scarves, printed tapestries to bright jewels. If you like bohemian style, then this market is for you! 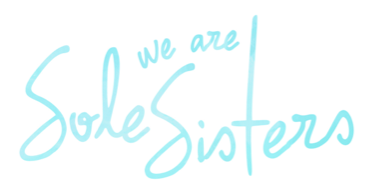 It's a wonderful place to shop for crystals and jewelry, silk scarves and beautifully embroidered bags and tunics for a really low price! 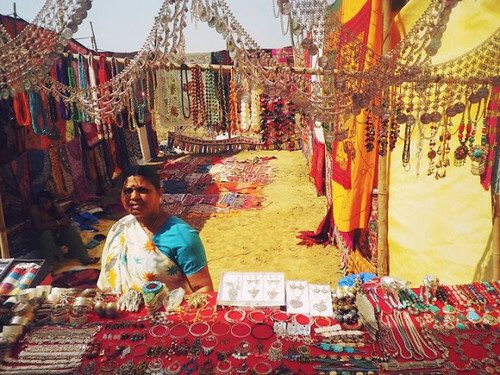 What's also great about this market place is that it's situated in a sandy stretch overlooking the Arabian Sea, so after a long day of haggling and shopping, you can relax on the beach on your newly bought sarong and watch the sun go down. Most items we bought from our travels around northern India were also sold here at lower prices! Bargain hard! And as with most markets, it's important be aware of your things, always keep it safe and secure with you. Do you love markets too? Where are your favorite markets around the world?